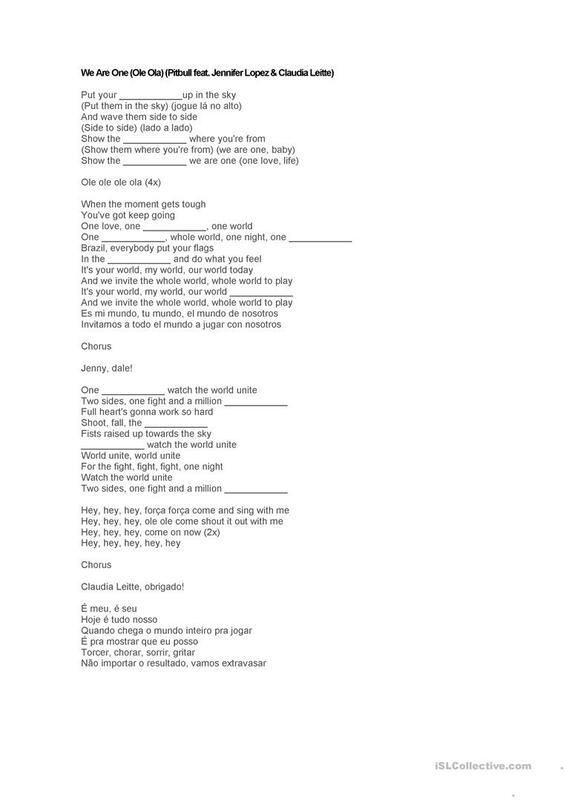 It's a fill in the blanks activity in which students must listen to the song and complete with vocabulary. My students loved it! The above downloadable handout is meant for high school students, elementary school students and adults at Elementary (A1) and Pre-intermediate (A2) level. It is a valuable material for developing your pupils' Listening and Writing skills. laripita is from/lives in Brazil and has been a member of iSLCollective since 2011-08-30 21:53:27. laripita last logged in on 2019-04-17 02:08:07, and has shared 16 resources on iSLCollective so far.